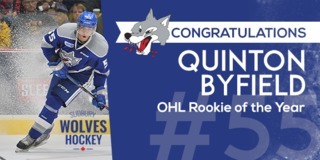 Owen Gilhula was the lone goal scorer for the Sudbury Wolves Friday night as they played their division rivals the Barrie Colts. A strong start for the Wolves was not quite enough as a solid third period for the Colts sealed the deal. The Colts had two goals reviewed and added an empty net goal to skate away with a 4-1 victory. With a slow start to the game, goaltender Jake McGrath was only tested once in the first ten minutes. He went on to make a number of great saves, including a big stop on Lucas Chiodo on a breakaway in the second period. With no goals in the first period, Gilhula scored unassisted to break the deadlock at 2:01 into the second. The goal marked his first of the season. Despite not being able to solve Leo Lazarev, Sokolov had some great chances in front of the net including hitting s few goal posts. 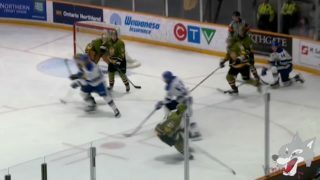 With the Wolves on the penalty kill, both the puck and a Wolves player slipped into the net past McGrath. After the refs reviewed the play, they deemed it a good goal for the Colts. 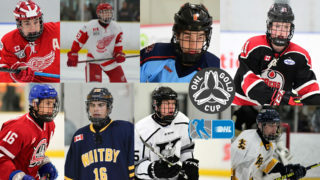 The stalemate continued until just over halfway through the third period when Jason Willms beat McGrath shorthanded to put the Colts up by one. Willms scored once again five minutes later, on a bouncing play in front of McGrath. With 26 seconds remaining in the third, Kade Landry added an empty net goal to end the game at 4-1. Final shots on net were 34-26 in favour of the Colts. 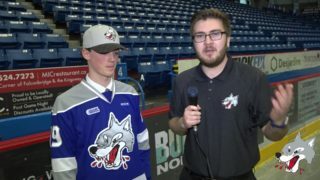 Troy Lajeunesse played his first game in front of Wolves fans this season, as the OA was acquired through a trade with Sarnia earlier this week. 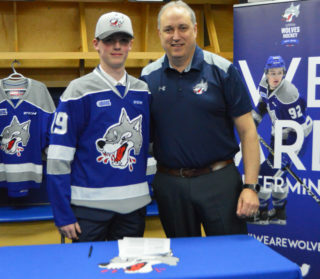 For Lajeunesse’s strong play and work ethic, he was recognized as the third star of the game and voted the Subway’s Hardest Working Player of the Game by the fans through the Wolves App. The Wolves will have one day to rest before they get the chance to rebound on Sunday against the Soo Greyhounds at 2:00 pm. 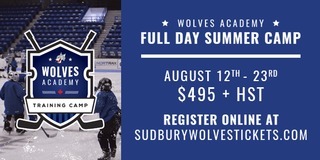 This game will be the first installment of the Bell Challenge Cup and is sponsored by the Sudbury Police Association. Fans can purchase their tickets online or visit the Box Office on Sunday morning starting at 11:00 am.